Why Choose an APT River Cruise? Whether you've experienced a river cruise before or you're looking to enjoy your first, you may be wondering what the difference is between APT Luxury River Cruises and other leading operators. 'Surely they're all the same?' - incorrect. Okay... the vessels are all similar in size, they sail similar itineraries, visiting many of the same destinations & all include breakfast, lunch and dinner - but there is a difference between operators! So, what sets APT aside? As a fourth-generation family business ourselves, this is extremely important to us! APT originally began in Australia when Bill McGeary showed promising success in the travel industry & has now, 90 years on, become a third-generation family business! Understandably, 90 years of knowledge & expertise has helped APT establish what makes the 'perfect holiday', and endeavour to go that extra mile to ensure guests have a life-enriching experience. You can trust a brand that has been recognised on numerous occasions! In 2016 APT received the award for 'Best River Cruise' at the prestigious Telegraph Travel Awards - for the second year in a row! 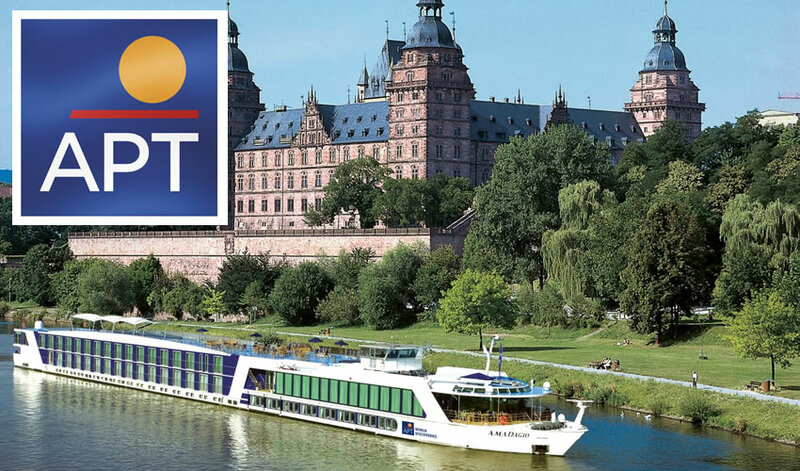 Together with their partner AmaWaterways, APT operate 15 river ships on Europe's rivers, and they continue to expand. In fact, their fleet now includes vessels in locations further afield! APT have proudly received a 98% satisfaction rating from their past travellers! It's always nice to see that past passengers have enjoyed their experience! APT Luxury River Cruise prices cover pretty much everything! Ever been on an APT River Cruise? Let us know your thoughts below!